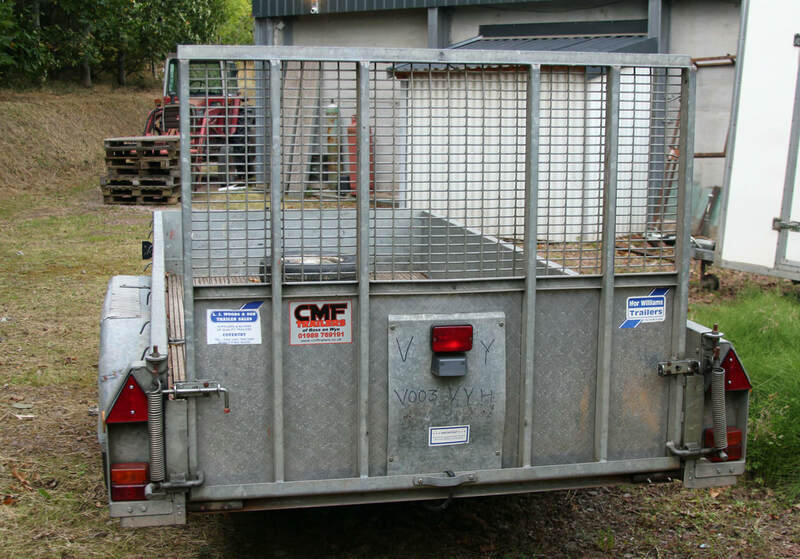 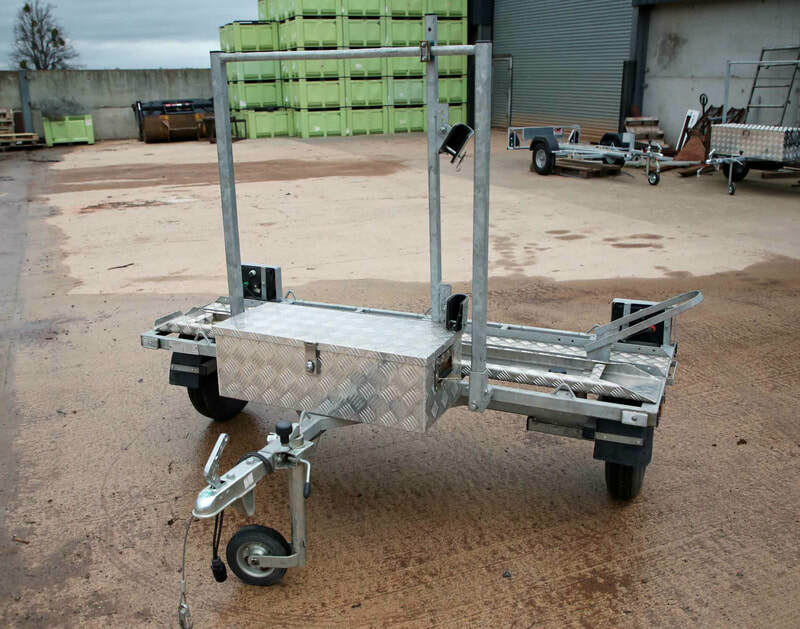 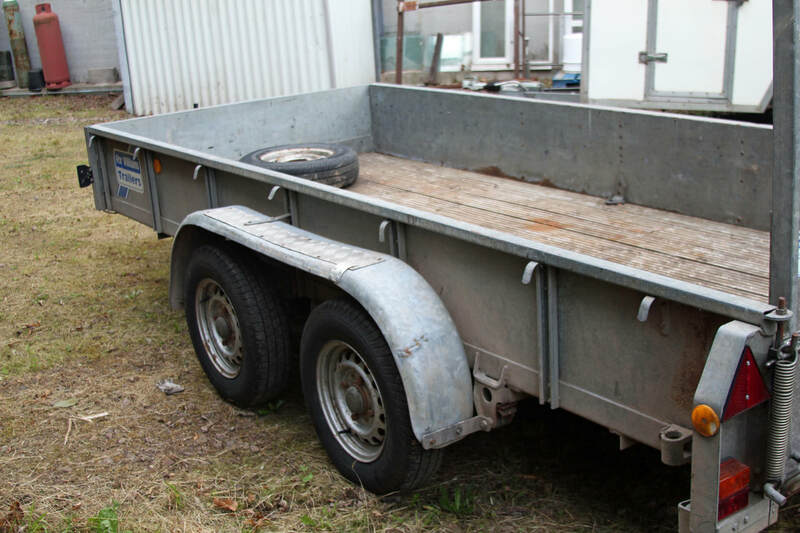 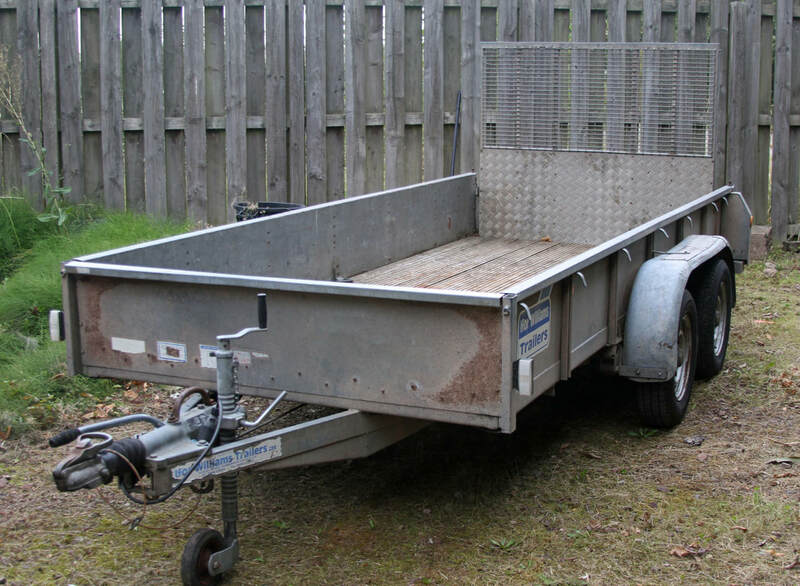 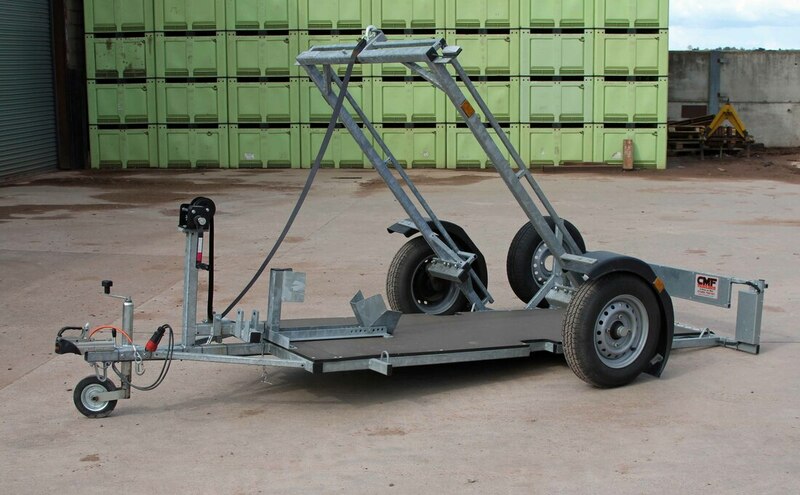 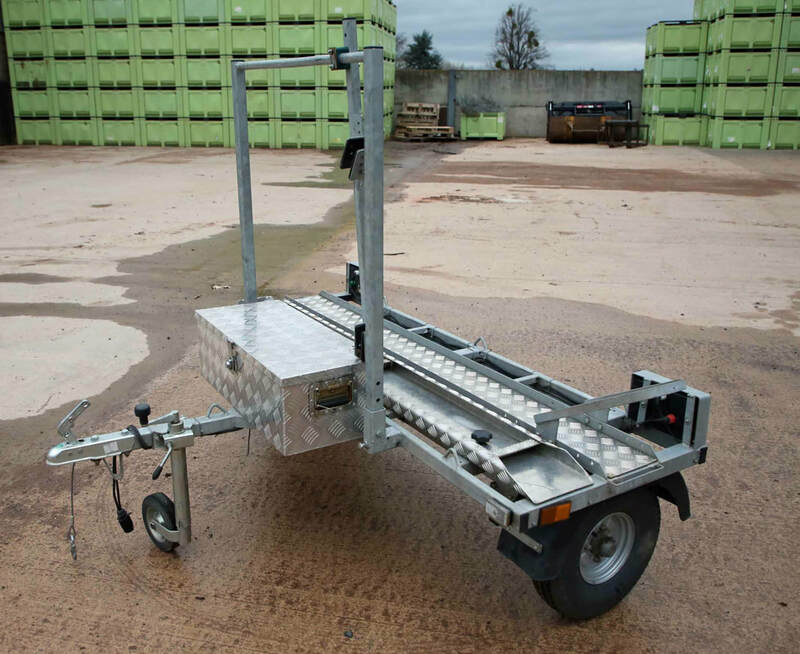 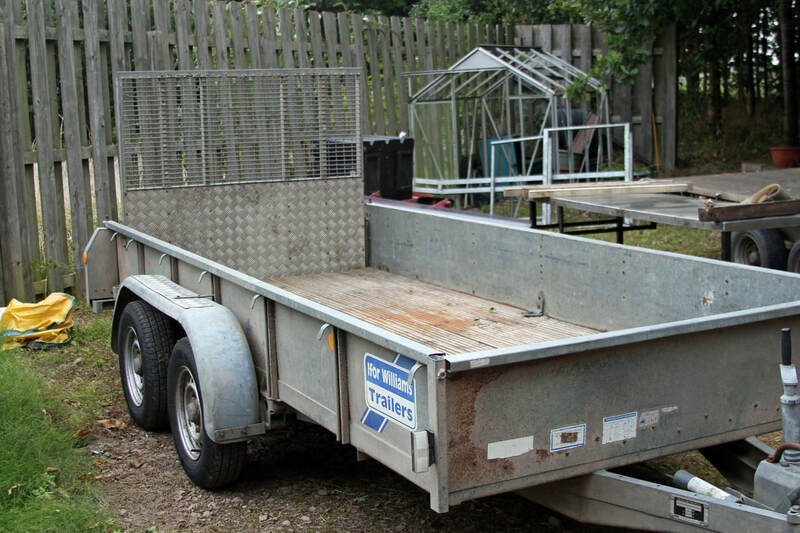 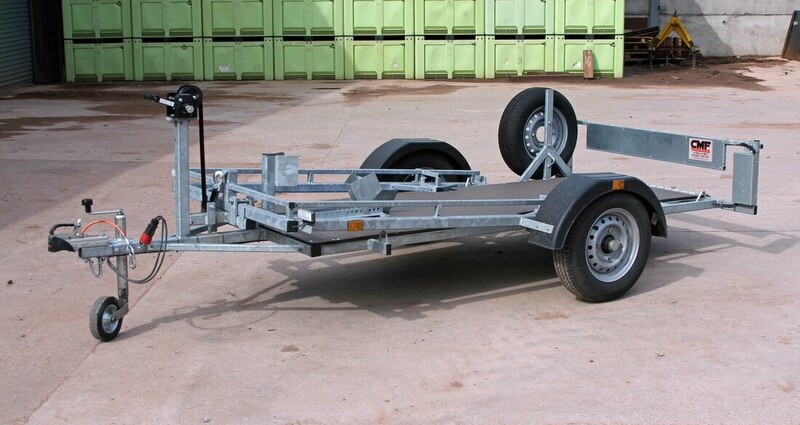 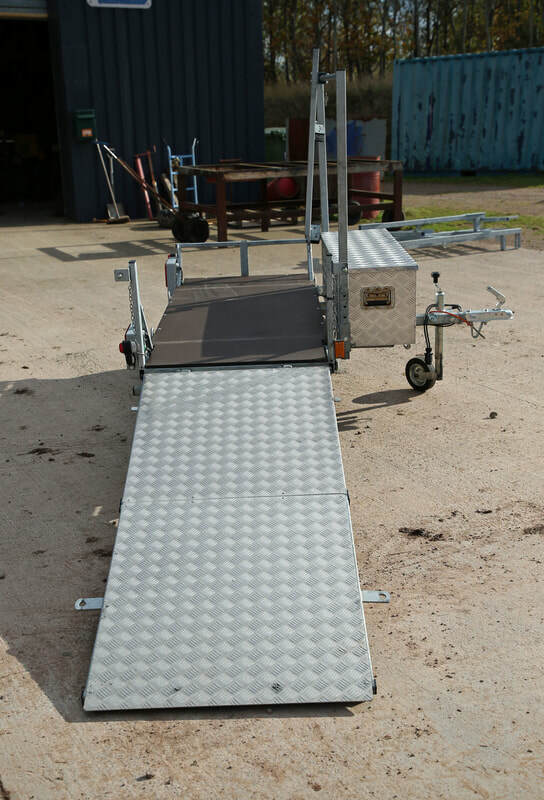 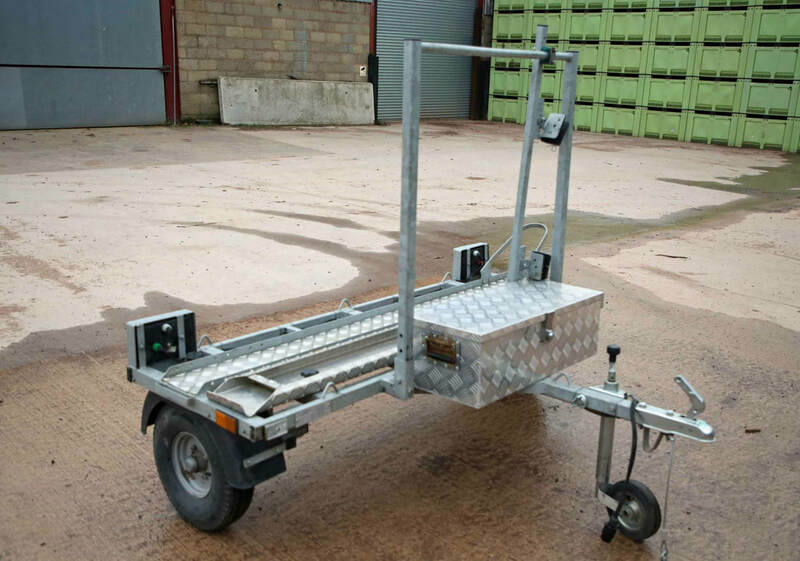 Approx 2 years old, complete with alloy box See Sideload Trailer page for specifications. 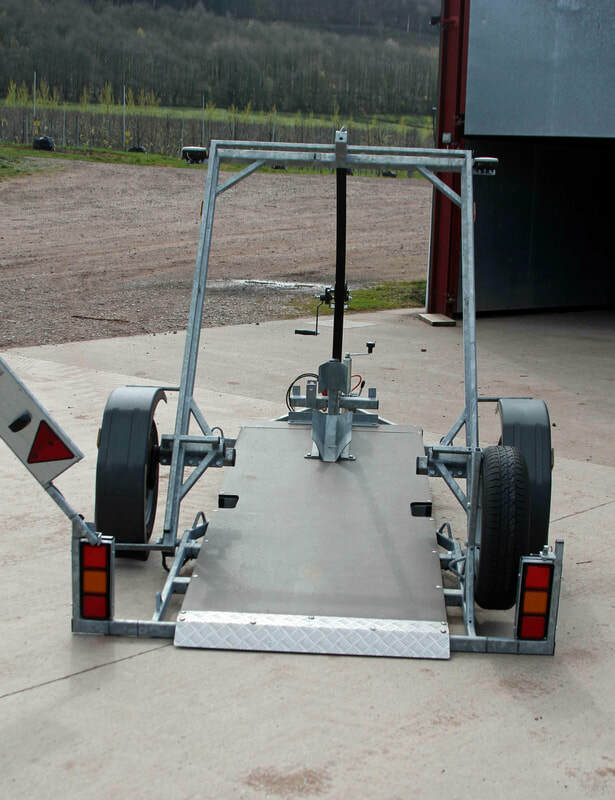 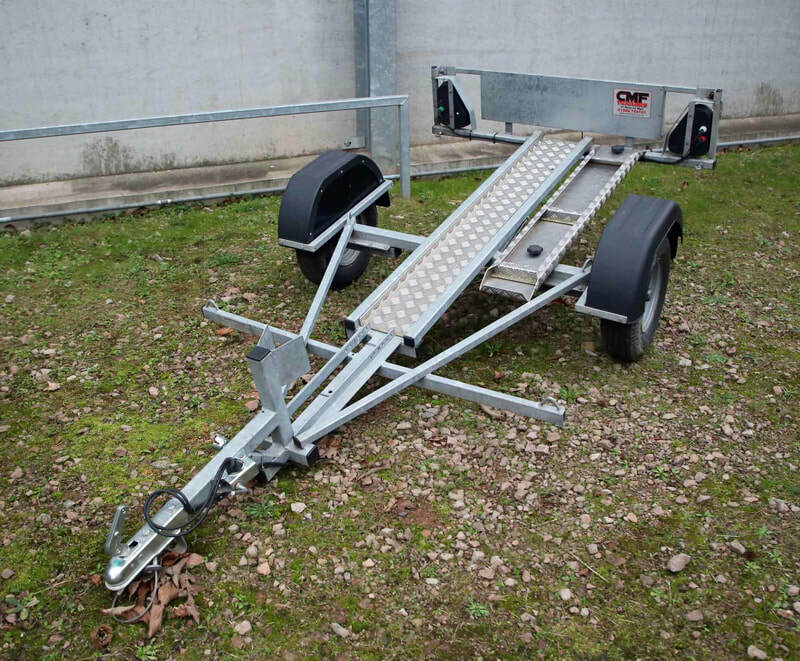 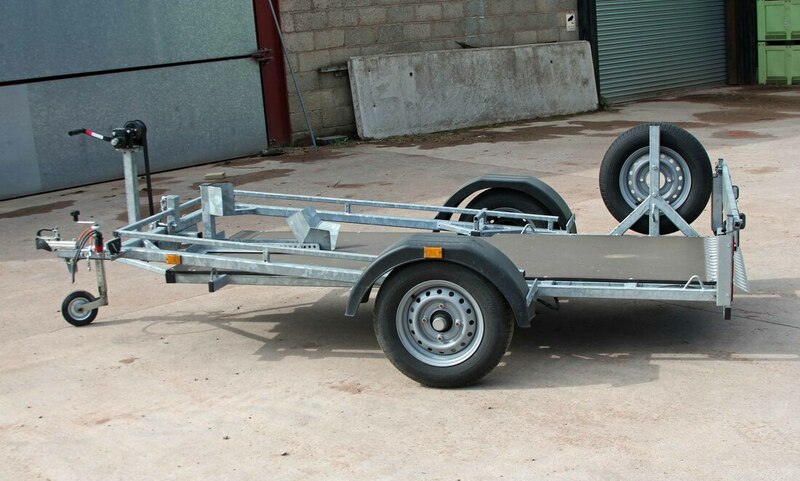 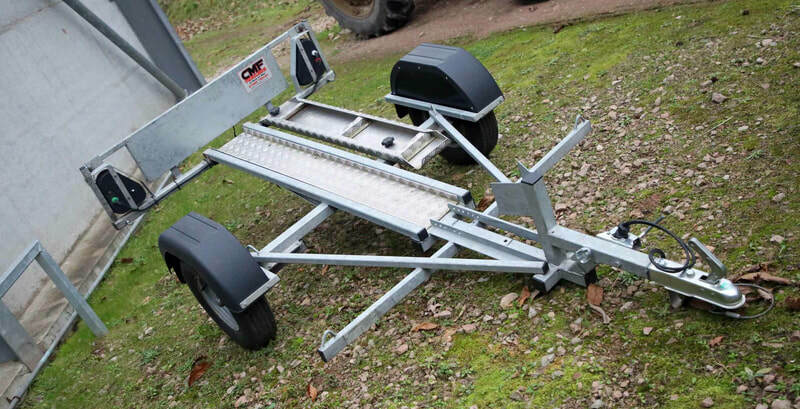 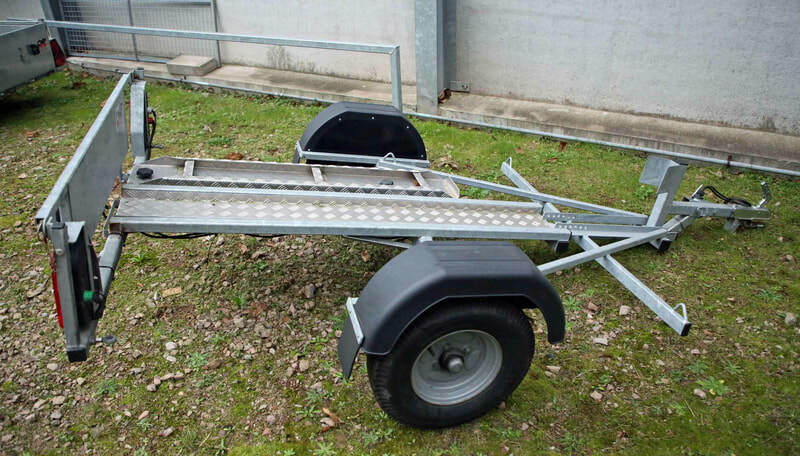 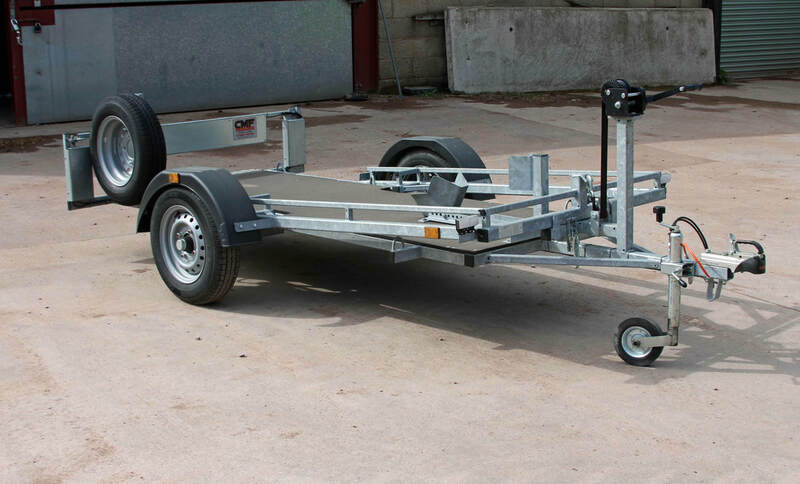 This trailer has had very little use and comes with 3 months warranty. 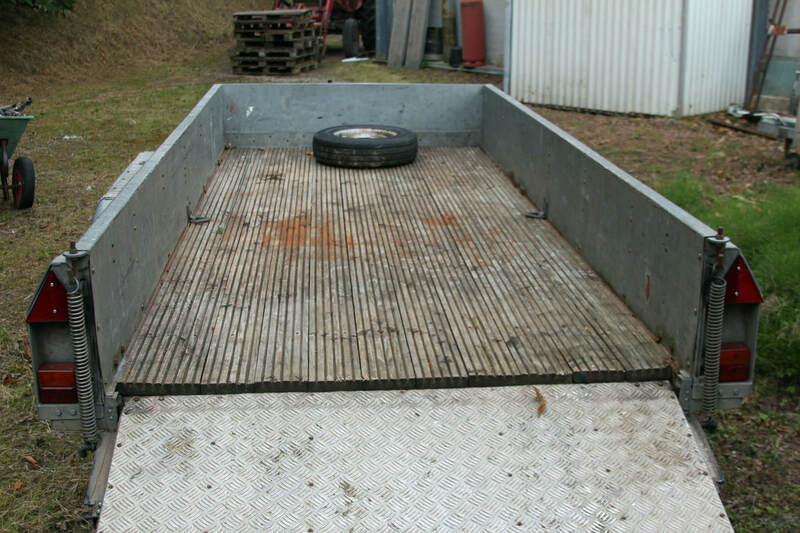 BED SIZE 12' X 5' (3680MM X 1550MM OVERALL SIZE 16' X 6'10"
​In good condition. 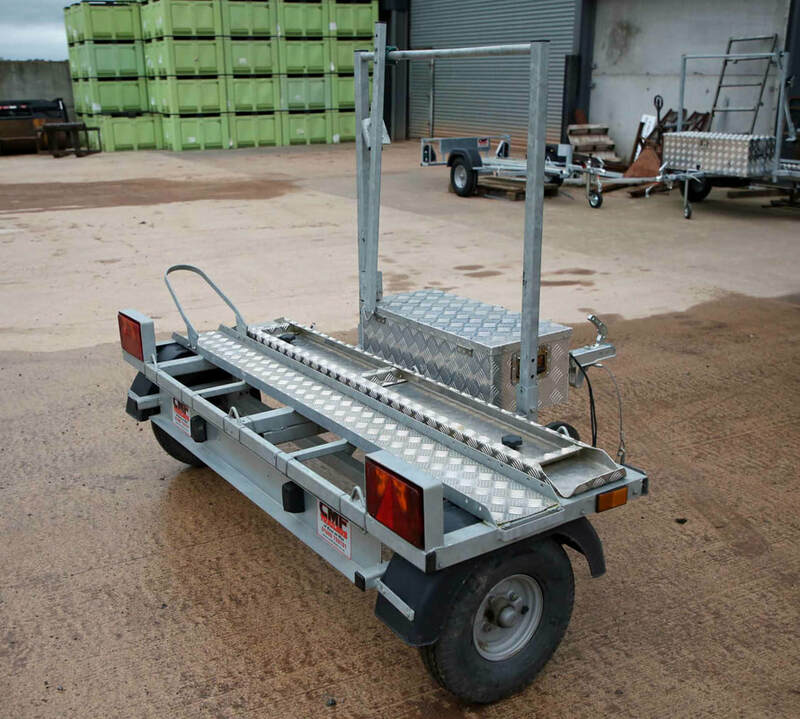 All brakes and lights work as they should, new tyres recently fitted. 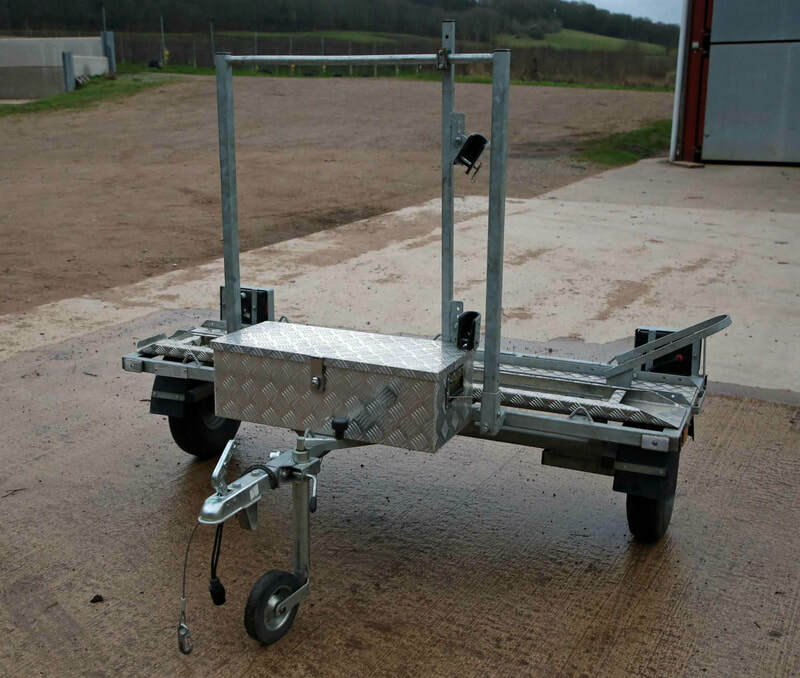 Made from galvanised steel and complete with lights mudguards and jockey wheel etc. 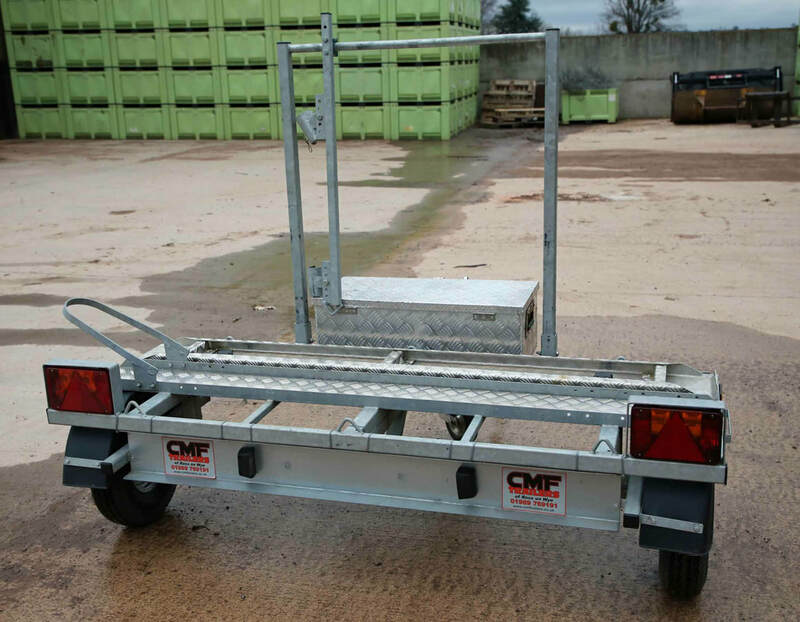 CMF Trailers reserve the right to alter specifications without notice.